The ever popular Air Jordan 3 has been making waves this year with the release of stunning retro editions of this model and it is expected to gain a lot of attention once again soon! 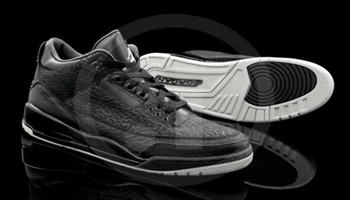 After being released in “white cement”, “stealth”, “true blue”, and the latest one, “black cement”, the Air Jordan 3 will come out in a new colourway known as the “black flip” edition of the shoe! There is no specific date for its release but we’ll keep you updated so watch out for it!